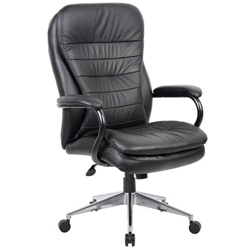 Features: Heavy Duty Executive chair. Available in Medium and High back models. Seat Height range: Lowest at 490 to 550mm at highest. Back Height: 660mm Medium back and 750mm High back.